On this date in 1964, newly-independent Singapore hanged 18 former inmates of the Pulau Senang penal settlement for a deadly 1963 riot. Pulau Senang. (cc) image by Jnzl. “Island of Ease” the name means in Malay — but inmates at the experimental prison colony established there in 1960 found it anything but. Singapore’s 1959 elections, its first under self-rule within the British Empire, brought in the People’s Action Party. The PAP still rules Singapore to this day, famously tough on crime. Ever thus. One of PAP’s objectives in 1959 was to root out a plague of gangsterism in the city, and to that end it instituted the Pulau Senang settlement on the virtually uninhabited 81-hectare coral island. It had a classic penitential vision: hard-core underworld gangsters sweating away their appetite for crime, learning hard work and practical trade skills, emerging reformed — “every violent lawless man could find their own way back to decent society given a proper chance and hard work,” in the words of its superintendent, Irishman Daniel Stanley Dutton. And it had its moment in the sun: during the colony’s short life, several hundred of its inmates were found sufficiently rehabilitated for release. 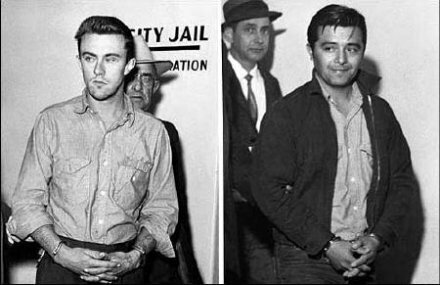 But obviously not every resident was a success story, for on July 12, 1963, a confrontation over laboring conditions on the Isle of Ease spiraled into a mutiny that saw the inmates hack Dutton himself to death with the tools he’d given them to save their own souls. Two of Dutton’s assistants were also slain in the rising, and before gendarmes arrived to restore order the inmates had torched and sacked most of the colony infrastructure that they and their predecessors had painstakingly constructed over the preceding three years. Dutton’s untimely end also meant the end of his project, which was retired from the Singapore penal system in 1964. Today, it’s a military testing grounds and live-fire range. 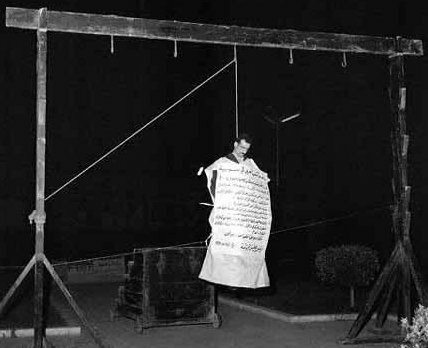 On this date in 1965, Israel’s greatest spy suffered an ignominious public hanging in Martyrs Square, Damascus. The signage swaddling the body denounces his crimes. Eliahu Ben Saul Cohen — you can call him Eli(e) — was an Egyptian Jew who got recruited by Israeli intelligence to put his Arabic credentials to use in the cloak and dagger game. You could say he’d found his calling. After a spell establishing his cover story credentials in Argentina, he “returned” to Syria posing as a prodigal returning emigrant. There, he became the Zionist Richard Sorge. Brazenly infiltrating the ascendant Ba’ath party and Syrian elite circles as wealthy businessman “Kamel Amin Thaabet”, Cohen piped years of high-quality intelligence to Israel from the very pinnacle of its enemy’s power structure. 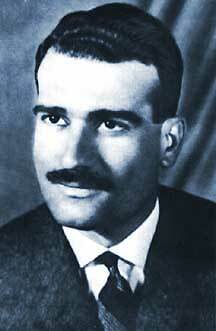 The trusted Eli Cohen in a snapshot with Syrian officials in the Golan Heights, overlooking Israel. 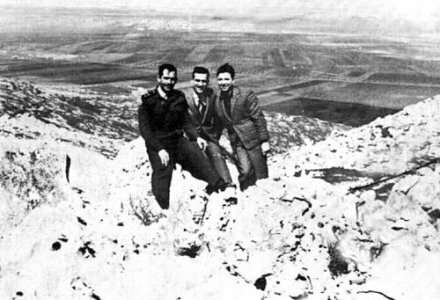 Cohen’s information on Syrian positions in the Golan has been credited with helping Israel win the Six-Day War in 1967. But he wasn’t around to see it. By that time, Syrian and Soviet intelligence had finally traced the damaging radio transmissions to “Kamel’s” apartment. He was purportedly — the matter is disputed, and smacks of hagiography — so influential and well-trusted at that point that he was on the verge of being named Deputy Minister of Defense. Instead, he had a future in the martyr business. After Cohen’s January 1965 arrest, events moved with implacable dispatch, and neither spy swaps nor diplomatic arm-twisting would avail an agent so embarrassingly, damagingly accomplished. 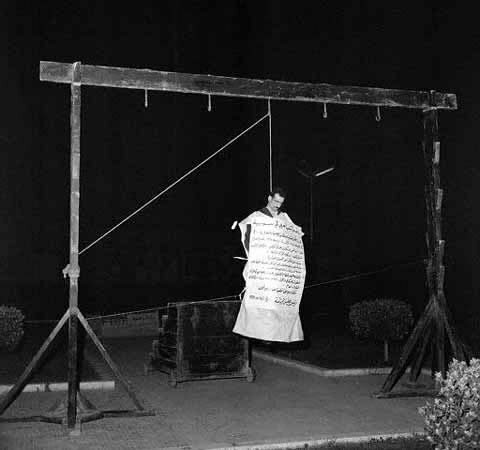 Thousands turned out to cheer the spy’s public hanging, or gawk at the body as it remained hanging throughout the morning. Thousands more watched the live telecast of the execution. Israel is still on about getting his body back from the Syrians. Whether or not that ever happens, the man lives on as a hero for his side. 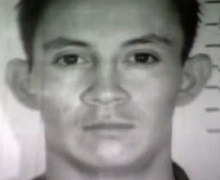 His story is the subject of the 1987 TV movie The Impossible Spy. On this date in 1965, 24 Burundians were shot following mass trials in the stormy aftermath of an attempted coup. Burundi met post-colonial independence deprived by an assassin’s bullet of the popular, unifying figure who might have kept ethnic conflict under control, and many years of living dangerously ensued as Hutu and Tutsi grappled for power. On October 18, 1965, a group of Hutu officers attempted a coup d’etat against Burundi’s monarchy — and failed. the events of October 1965 carried momentous consequences. The mutineers took a huge gamble and lost … power became the exclusive monopoly of Tutsi elements. … In the capital, virtually every Hutu leader was apprehended. Burundi did not live happily ever after.